After browsing the web for some alternative dish garden plantings for succulent I alighted on ohjoy.blogs.com and this charming couple. 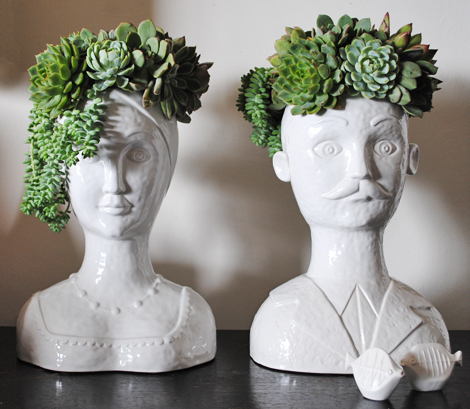 I love the whimsical expressions and cascading succulent head gear. Unfortunately, the original post is several years old and the links are dead ends. Have you encountered ceramic planters like this anywhere?